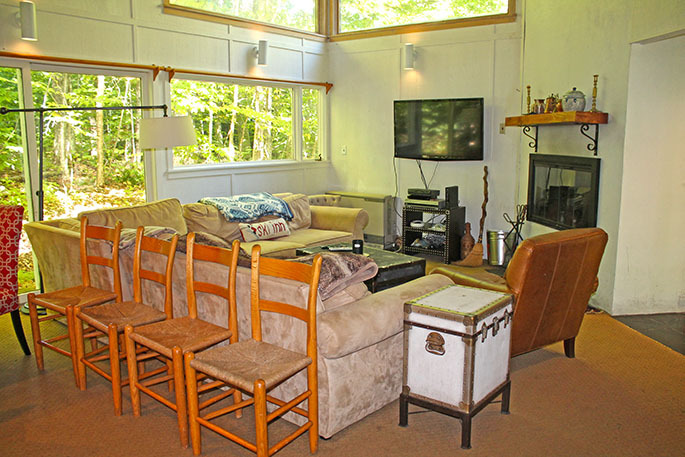 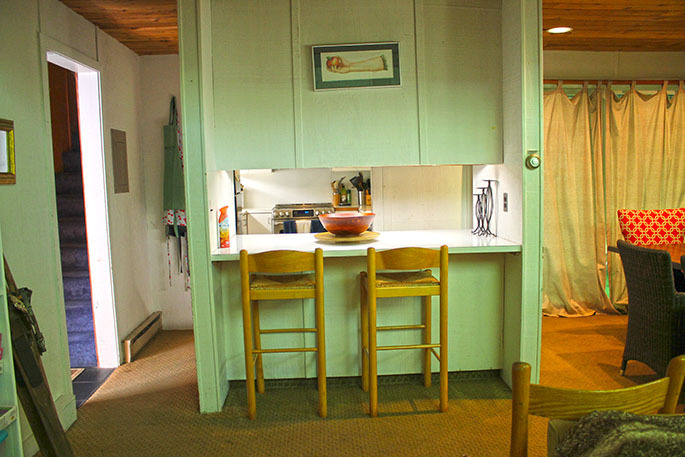 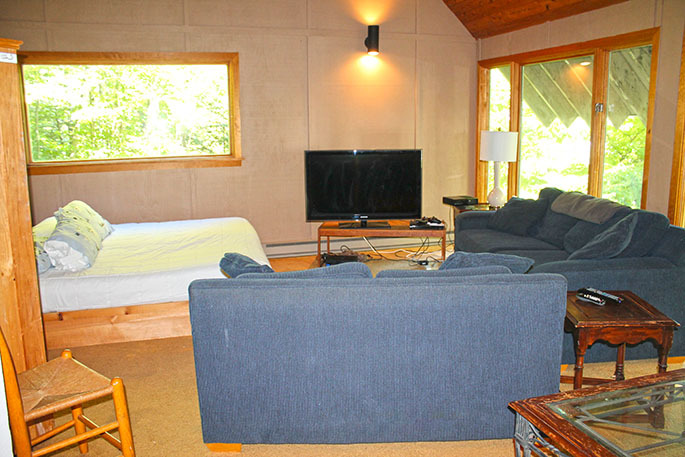 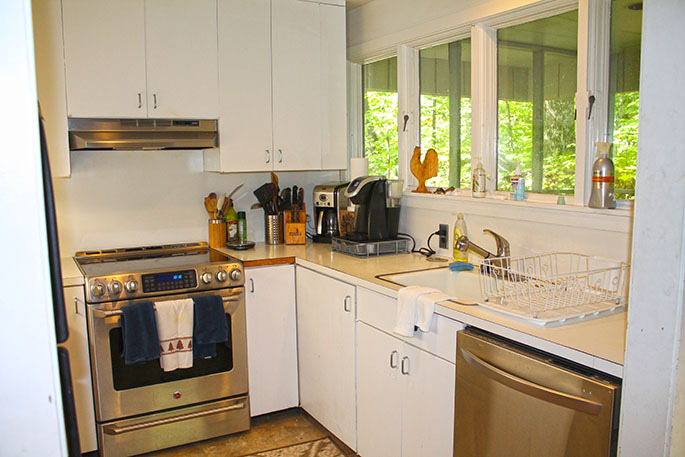 This convenient 4-5 bedroom plus loft home is located On Shuttle to Stratton Mountain! 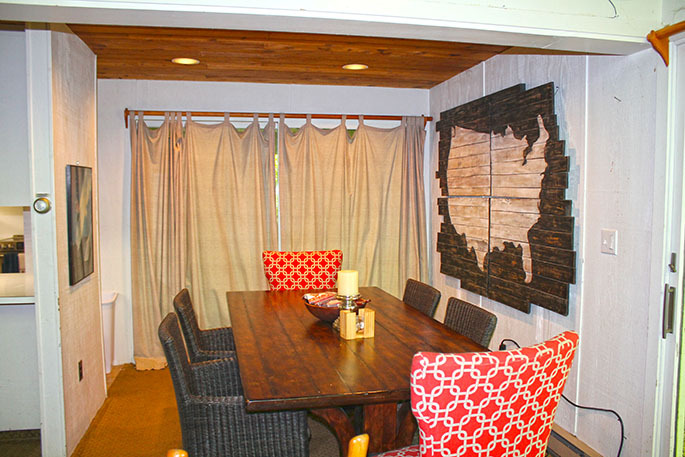 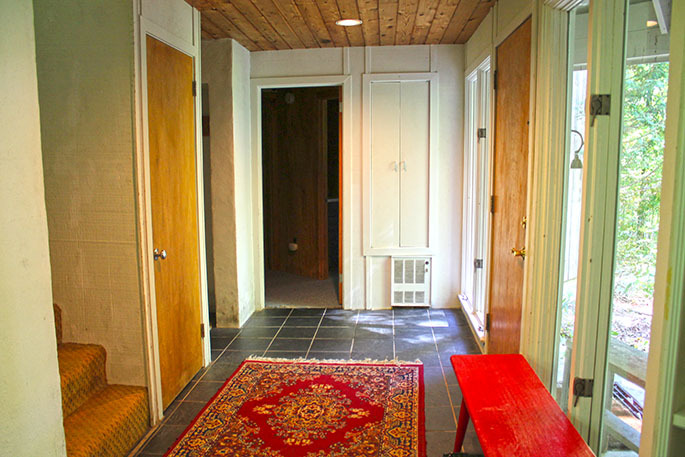 The spacious mudroom enters into the main living area with a flat-screen TV and adjoining dining room & kitchen. 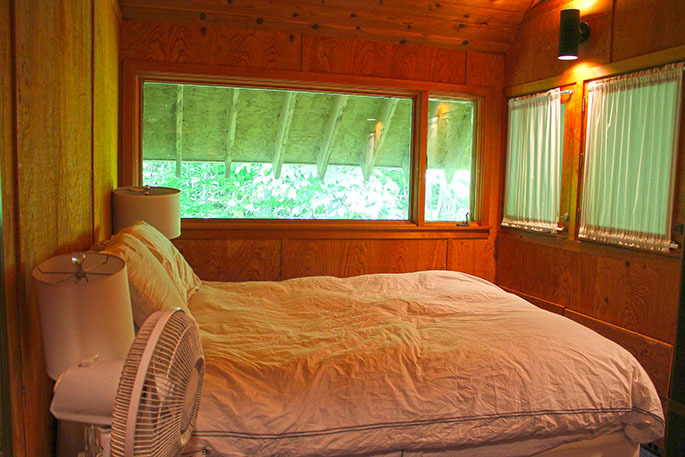 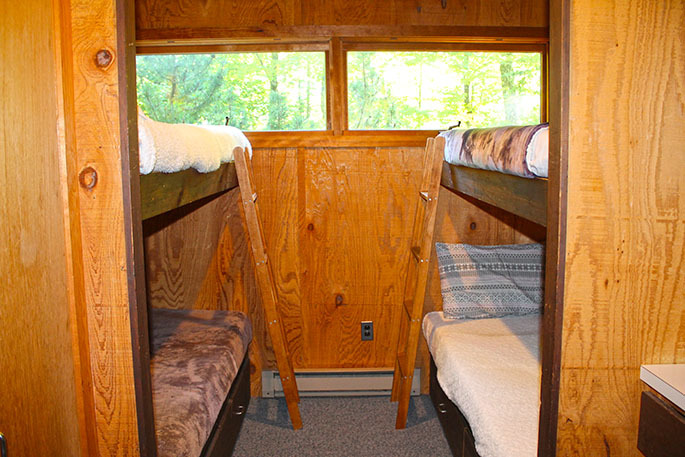 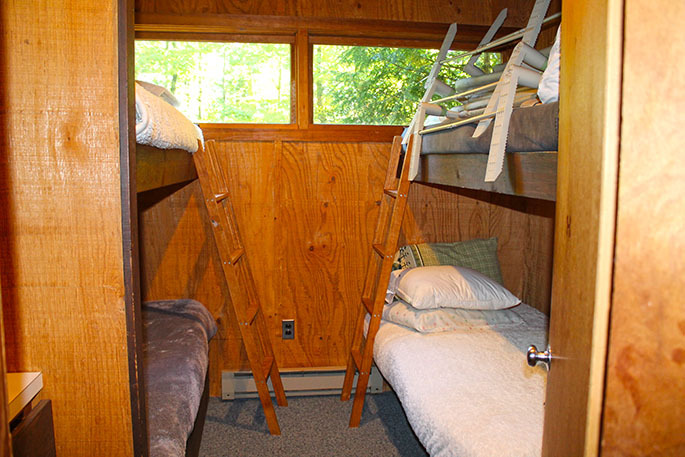 There is also a full bath and two bedrooms on the main level with two bunk beds in each room. 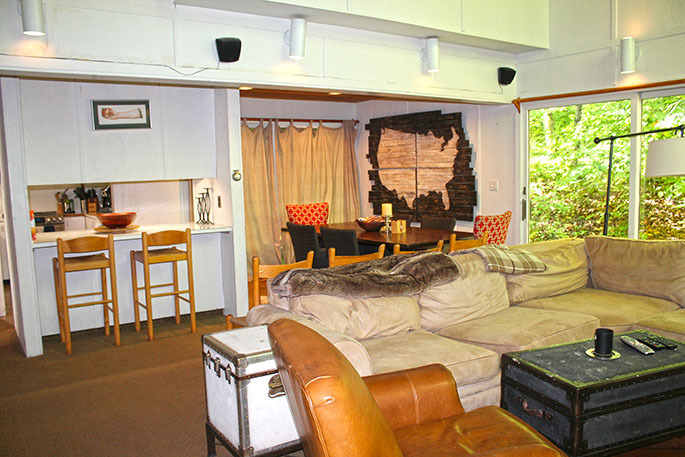 There are two separate upstairs areas. 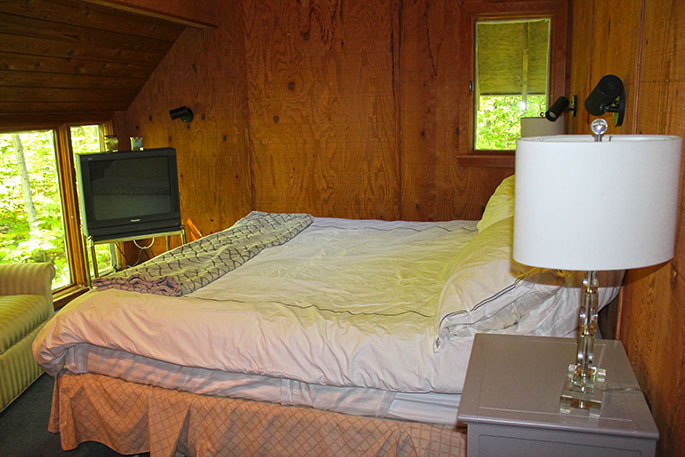 One has a TV area with a queen bed which could be considered a bonus 5th bedroom. 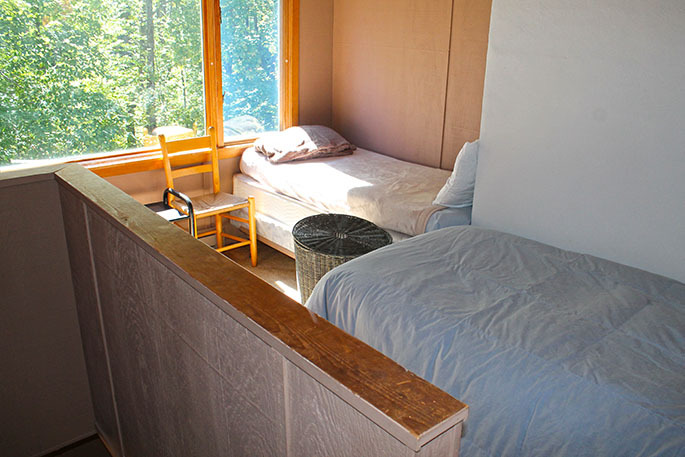 Off of this is a loft that has two twin beds. 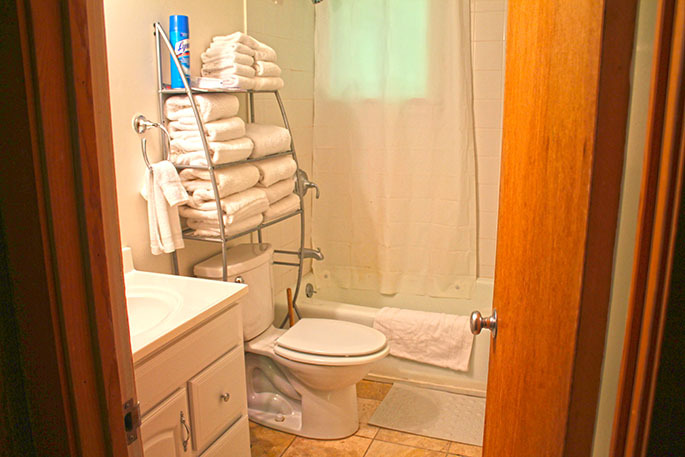 The other upstairs level offers a full bath and two more bedrooms each with a queen bed. 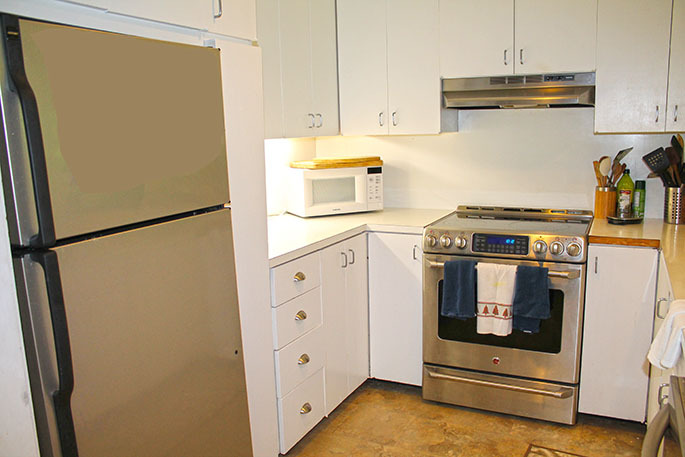 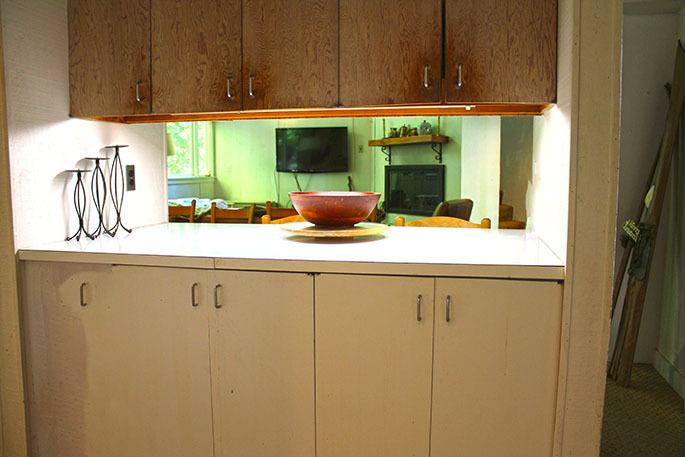 Call us today to rent this spacious home On Shuttle before it's too late!